New super cool cowl hood rear filler. Got a cowl hood on your car and dont want to do the flapper set up? Stop staring at the open hole at the rear of your cowl hood. 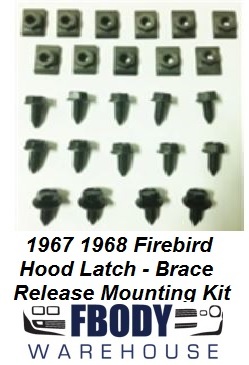 Heres the answer, this new filler panel mounts to existing holes in all cowl hoods. Comes in raw galvanized steel and can be painted or coated if you so choose. Includes mounting hardware. New correct style hood louver gaskets for your Camaro Exact fit for all 67 and early 68 Camaro finned or lined hood ornaments. 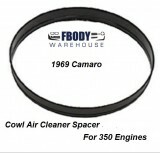 Works great for original GM louvers or any reproduction version. 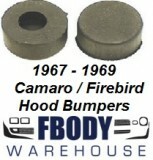 For use on 1969 Camaro models with cowl induction.OE quality cowl induction firewall relay. Brass contacts and phenolic style injection molded base, unlike others.